We love it when our guides increase their knowledge, making themselves better guides. Taking classes, for example, to earn their Wilderness First Responder (WFR) credentials. 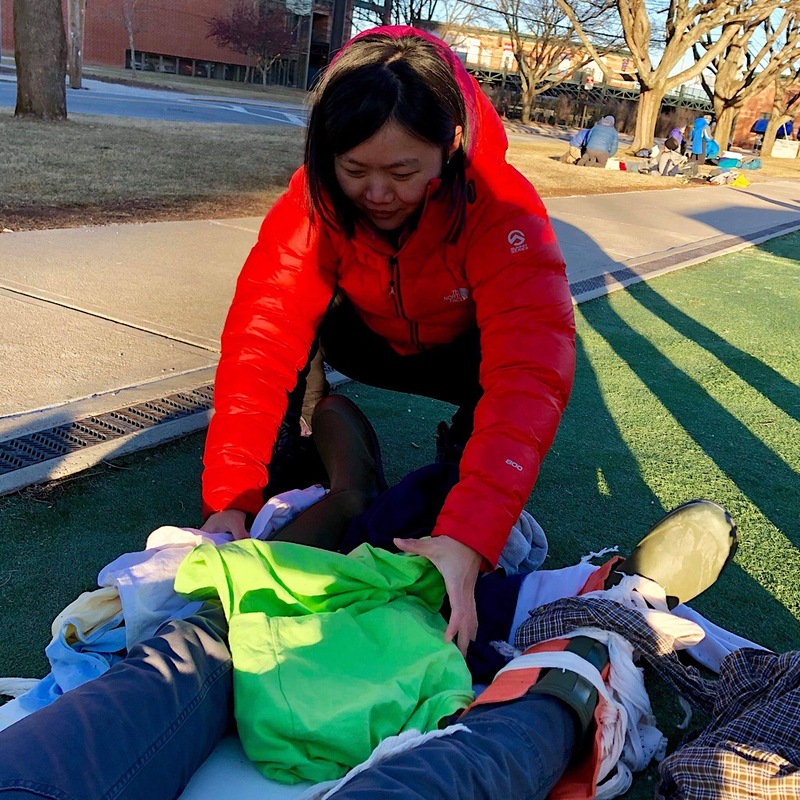 That’s what Redline Guide Cindy Zhou just did, earning her SOLO WFR (and renewing her CPR/AED in the process) through the University of Massachusetts in Lowell, which hosted the course. Cindy tends to a patient with what appears to be two injured legs. Ouch! Congratulations Cindy! Earning your WFR is awesome! Well done!